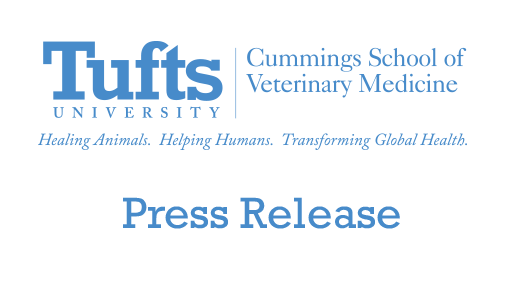 The Cummings School of Veterinary Medicine at Tufts University today announced the availability of updated applications to the Cummings School Service Fund, a fund to support nonprofit organizations in its host communities of Westborough and Grafton, MA. Applications are reviewed on an annual basis by the school and given priority based on their ability to address community-identified needs. Projects with relevance to education are encouraged. Applications for FY2013 fund awards are now available on the Cummings School Service Fund webpage. The announcement coincides with the launch of the Community Programs and Resources website, dedicated to the Cummings School’s educational and other community outreach activities. 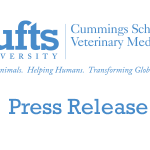 Our students, staff and faculty live, work, and volunteer in our host communities, and this giving program is one way we give back to Grafton and Westborough, said Deborah T. Kochevar, DVM, PhD, dean of the Cummings School. Supporting local organizations that enrich the local culture is key to our service mission. Requests for funding should be submitted no later than September 30 for consideration for funding in the next fiscal year (July 1–June 30). A committee comprised of Cummings School administrators, faculty and staff meets annually to review proposals and select grant recipients, and will inform requesters of its funding decision by the end of October. The Cummings School Service Fund grants typically range from $200–$500. Any proposal for a project or activity is welcome. Activities funded or supported last year, the first year of Cummings Service Fund awards, included a teen summer reading program, an adult English language program, the Grafton Education Alliance’s Annual Spelling Bee and the Lion’s Club July 4th celebration. Questions about the Cummings School Community Fund can be directed to Jean Poteete at (508) 887-4740.